How to Move from Desktop to Laptop? AOMEI Backupper is able to move from desktop to laptop. 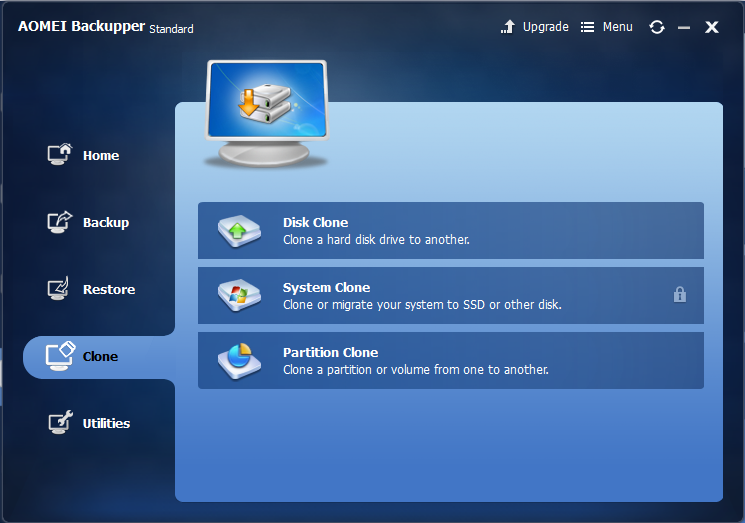 Its clone features include system clone, disk clone and partition clone. Today, many of us use computers almost everyday. We use computer to work, study, play games, listen to musics, watch movies and so on. We use different computer in different place, for example: desktop in company or school while laptop at home, or vice versa. One people own two machines is not something new. One day, we want to move something from desktop to laptop, how to realize this? There are many ways. For small volume of files, you can use a USB flash drive, copy&paste. If you haven’t got a USB flash drive, you may upload them to a cloud drive then download to another local disk, or transfer directly by using a transfer program through Internet. These ways have limitation is that only OK for not huge size of data. If the files are too big, you will spend lots of time and the way is not scientific. If the something you want to move is the whole disk, partition or even system, above ways can’t work too. 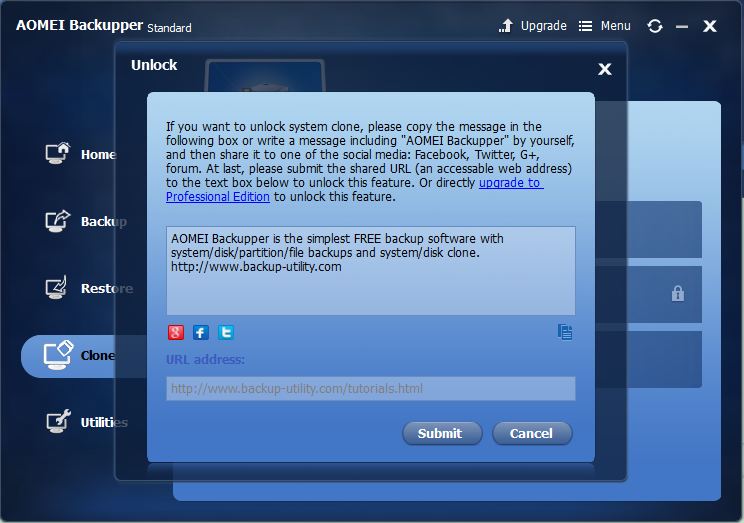 If you plan to move Windows from laptop to desktop, we suggest you to try AOMEI Backupper. 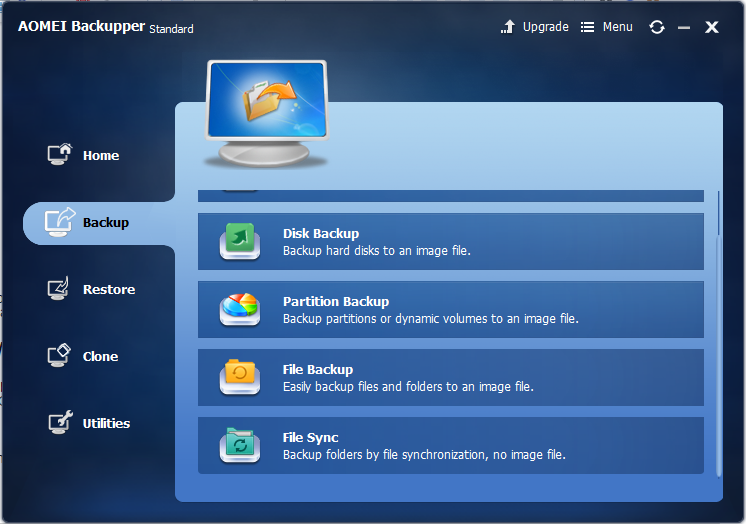 AOMEI Backupper is an excellentcloning softwareas well as backup software. In this article, we are mainly talking about its cloning features. Disk clone: clone the whole hard drive. Partition clone:clone the whole partition. System clone:migrate OS from desktop to laptop. You should unlock this function first, don’t worry, it is free to use. AOMEI Backupper is simple to use. Few steps, you can achieve you goal. Take disk and partition clone as examples: select the source, the destination, then the task will be committed. Every step has guide. Now you see, for moving big size ofdata(larger than one partition), AOMEI Backupper can solve it easily. For transferring files or folders from desktop to laptop, AOMEI Backupper’sFile BackupandFile Syncfeatures will help you a lot. Sometimes, backup is similar to copy. We can reach a goal via different methods. AOMEI Backupper’s backup & restore functions are great too. What’s more, it integrates a series of useful utilities. When using computer, we think AOMEI Backupper is a necessary tool.